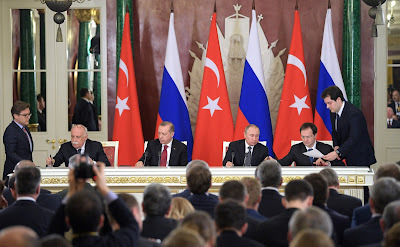 Putin.BLOG Foreign Policy Turkey High-Level Russian-Turkish Cooperation Council meeting. Vladimir Putin and President of Turkey Recep Tayyip Erdogan took part in the sixth meeting of the High-Level Russian-Turkish Cooperation Council. 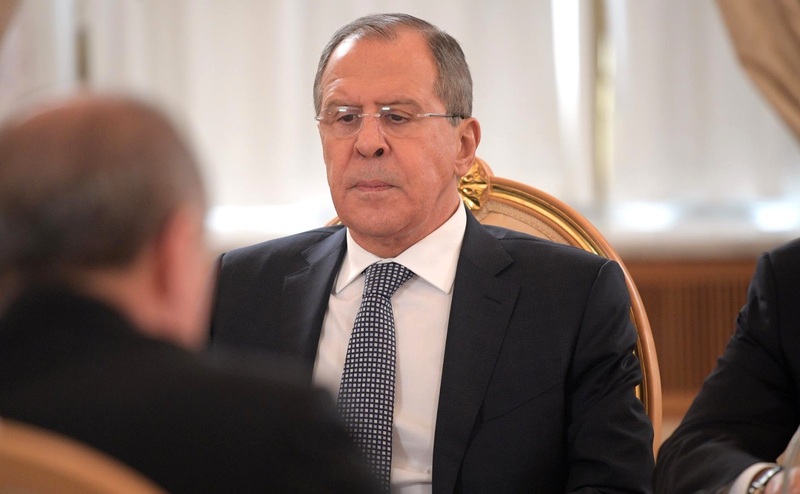 The discussion covered the entire scope of Russian-Turkish relations with a focus on the further restoration of mutually beneficial trade and economic ties. A package of documents was signed after the meeting. 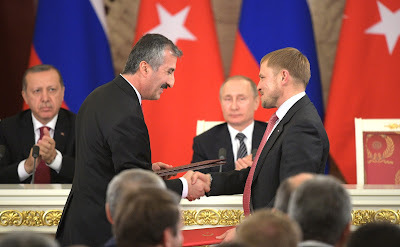 An intergovernmental mid-term trade, economic, scientific, technical and cultural cooperation program for 2017–2020 was signed, as well as an agreement between the Russian Direct Investment Fund and the Turkish Sovereign Fund to establish a Russian-Turkish investment fund. Also signed were a memorandum of mutual understanding between the foreign ministries on diplomatic personnel training and the sharing of informational documents, and a memorandum of understanding between the Federal Service for Intellectual Property and the Turkish Patents and Trademarks Agency. Other documents concern holding the bilateral year of culture and tourism in 2019, cooperation between the Prosecutor General’s Office and the Turkish Ministry of Justice, cooperation in the small and medium-sized business sector and cooperation between the TASS and Anadolu news agencies. The heads of states gave a joint news conference. It is a great honor and pleasure for me to welcome you in Moscow at the sixth meeting of the High-Level Russian-Turkish Cooperation Council. The meeting in this format is taking place after a pause that was caused by the well-known tragic events. Proactive political dialogue resumed between our countries, and so did efforts by foreign ministers to coordinate strategic planning. The mixed intergovernmental commission and bilateral civil society forum have also resumed their work. 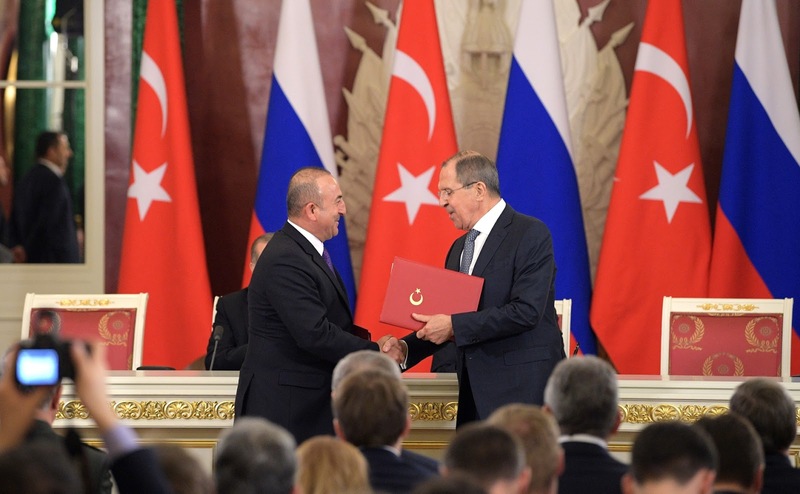 Russia and Turkey have great potential for further advancing their neighborly relations. Together, not only can we make up for the opportunities that were lost, but also raise our cooperation to a new level. At least Russia is willing to do so and committed to moving in this direction. The President and I have just discussed the most urgent matters on the bilateral agenda, and agreed on the need to strengthen bilateral relations in the spirit of an advanced multifaceted partnership. As we hold this expanded meeting with members of our governments and business leaders, I hope that we will be able to discuss specific areas of cooperation in the same business-like and constructive manner, as well as outline goals and reference points on all issues on the bilateral agenda. Let me emphasize that Turkey is one of Russia’s main trade partners, while Russia is a key export market for Turkey. However, we have to acknowledge that bilateral trade has been declining in recent years. In 2016, it shrank by almost one third, all but reaching a level last seen a decade ago. We hope that we will be able to reverse this negative trend as soon as this year. This is what the intergovernmental commission aims to achieve, as does the intergovernmental program on trade, economic, scientific and technical cooperation to be adopted today. We also need to further stimulate mutual investment. Russia and Turkey have already reached significant results in terms of mutual investment, which stands at about $10 billion on each side. Of course, much more can be achieved. Proactive efforts by the Russian-Turkish investment fund are also to bring about new projects. It is gratifying that we have been able to establish strategic cooperation in the energy sector. 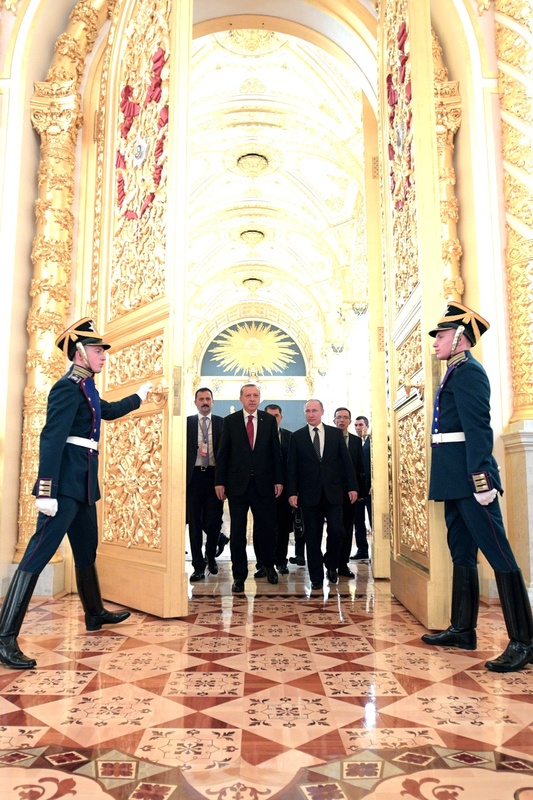 Turkey is Russia’s second largest natural gas importer. Last month, the intergovernmental agreement on the major project to build the Turkish Stream gas pipeline network came into force. This project will help increase natural gas supplies to Turkey and develop its transit potential. Rosatom is designing the Akkuyu nuclear power plant, the first nuclear power facility in Turkey. Power Machines is involved in upgrading Turkey’s hydropower infrastructure. There are also great prospects for expanding cooperation in the metals industry, car manufacturing, production of agricultural produce and machinery. Business communities in both countries are interested in expanding cooperation in such areas as innovation, research and technology. By stepping up bilateral economic ties, we could increase the share of mutual settlements in national currencies, and we know that the President is a proactive supporter of initiatives of this kind. Creating infrastructure in Turkey for the Mir Card Payment System would be a concrete step in this direction, as we have mentioned today during the one-on-one meeting. Military technical cooperation deserves special attention, as well as contacts between law enforcement agencies and secret services, particularly on counter-terrorist efforts. 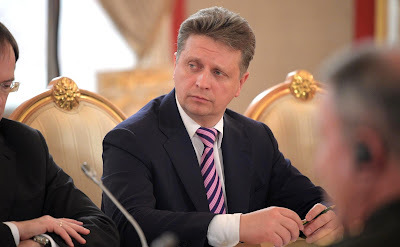 Russian law enforcement agencies are interested in exchanging information on the movement of persons involved in terrorist activity in our countries. There are good prospects for further expanding cultural ties. In 2019, Russia and Turkey are to hold cross-years of culture and tourism. 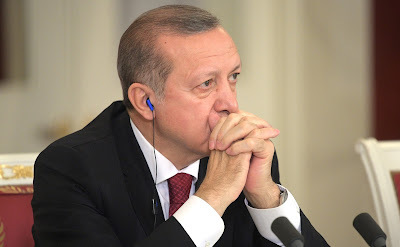 Colleagues, before I give the floor to the President of Turkey Recep Tayyip Erdogan, let me say a few words about how this meeting will proceed. As usual, we will hear presentations by foreign ministers who co-chair the joint strategic planning group, as well as the heads of the intergovernmental commission and civil society forum. In addition, during the meeting, and at the working breakfast, other ministers and heads of agencies will have an opportunity to speak. I hope that both sides will actively contribute to this meeting. Thank you for your attention. Ladies and gentlemen, it is a pleasure to see you all here. On behalf of our delegation, and myself, thank you very much for your kind invitation. Today, on behalf of our country and on behalf of our region, we are taking very important steps, and I hope that our meeting here will facilitate the adoption of constructive decisions. In our official statements, I believe we can dispense with the phrase “normalization of relations” because we believe we have already passed this stage on issues such as Syria and regional security. We have considered these issues. We often hold telephone conversations in the course of which we address these issues. Of course, we should keep our communication channels, our diplomatic channels open. The civil society forum is primarily an organization that provides an impetus to ties between our countries. We attach great importance to increasing our trade and developing our economic ties. We seek to increase our trade. Unfortunately, recently, the volume of trade has declined, but we set the goal of increasing it and we will certainly work to consolidate the legal basis to advance our economic relations. To this end, we should take all the necessary steps without delay and we should eliminate all impediments to the development of our relations. 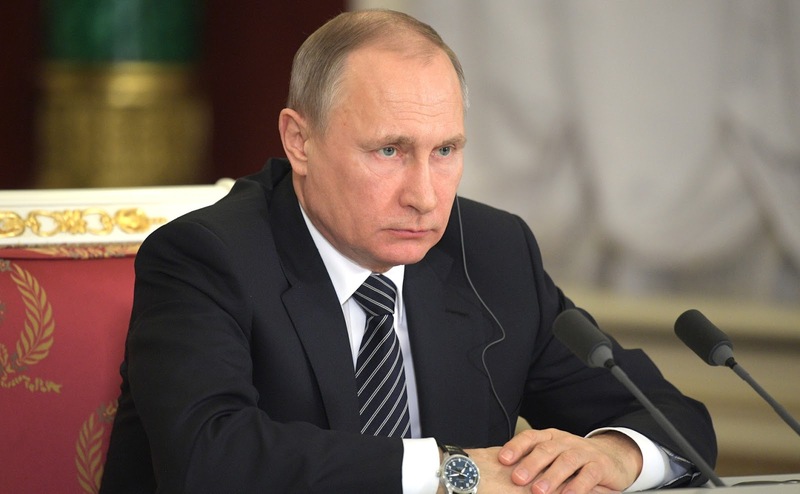 Those firms and companies that are now represented in Russia should be relieved of the sanctions and restrictions that were imposed on them. The first point I would like to make is that it is necessary to increase the frequency of flights between our countries, making them unlimited. Secondly, we should promote cooperation and get Turkish industrialists involved in the supply of Russian-made MS-21 airplanes. Our energy cooperation is very close today. I would like to mention primarily the Turkish Stream project, which is already under way. Regarding the construction of the Akkuyu nuclear power plant, the rapid implementation of this project is of vital importance to us. We constantly monitor the development and implementation of these projects. As for our military cooperation, we addressed it in the course of our one-on-one talks. Cooperation in this area is very important. I would also like to mention our cultural and social ties. We propose declaring 2019 the Year of Russian Culture in Turkey and the Year of Turkish Culture and in Russia. I believe we will successfully cooperate on this matter and formally open our cultural centers. As for tourism, of course, we have lost some time – time in which we could have been developing cooperation in tourism. Still, I believe we will fill this gap. I believe that we will transition to a new basis in this area. If all the necessary preparations for opening the Yunus Emre culture center in Moscow are completed, I believe we will be able to open it this year. Unfortunately, the civil society forum has not been as active as we expected. I believe we should promote dialogue at the level of subcommittees and chairpersons, and I have already issued corresponding instructions. Concerning the introduction of visa-free travel, we are also taking action. I believe we should speed up this activity. We know there are visa initiatives even with regard to flight crews. I believe we will be able to resolve this issue shortly. On regional security, I believe we should work together to stop the bloodshed in Syria and put an end to that situation. Our services, which are responsible for freeing northern Syria of terrorist elements, are doing a very important job, working intensively. As for the activity of Syrian groups affiliated with the PKK terrorist organization, such and PYD and YPG, I believe it is necessary to completely put an end to their activity in Russia. Regarding the FETO terrorist organization, unfortunately, we know that under the guise of other organizations, they are active in certain Russian cities, as well as in Moscow and St Petersburg. We believe that the Russian authorities will take steps to put an end to that activity. The new round of tension in relations between Azerbaijan and Armenia is a very important issue. I believe it is essential to begin talks on this issue in the near future. I also think that Russia could play a very important part there. As for security in the Black Sea region, naturally, security in this area is very important for us, and the BSEC organization has a key role to play here. A BSEC meeting will be held in Istanbul, to which I would like to invite you, and I hope you will be able to attend. This is what I wanted say at the beginning regarding the issues I have mentioned, and I hope you support me. Thank you for your attention. Sixth meeting of the High-Level Russian-Turkish Cooperation Council. Signing of documents following Russian-Turkish talks. 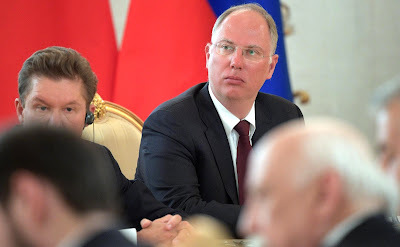 Russian Direct Investment Fund (RDIF) CEO Kirill Dmitriev at the sixth meeting of the High-Level Russian-Turkish Cooperation Council. 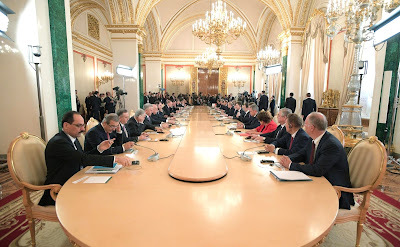 6th meeting of the High-Level Russian-Turkish Cooperation Council. 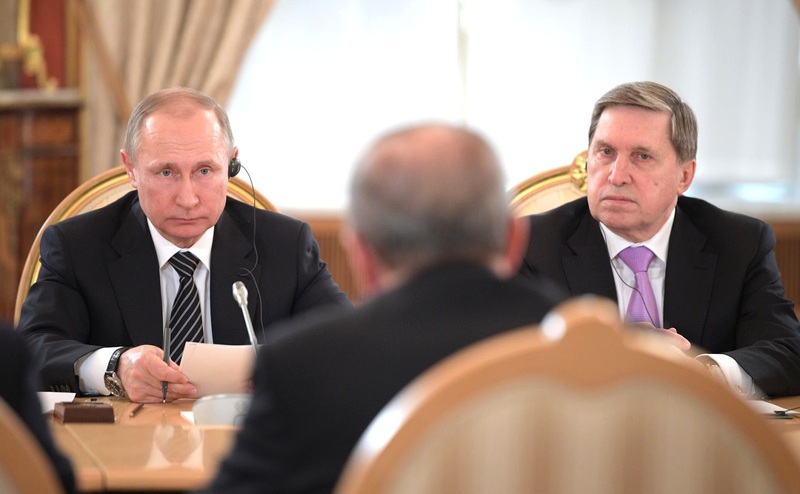 Vladimir Putin with Presidential Aide Yury Ushakov at sixth meeting of the High-Level Russian-Turkish Cooperation Council. 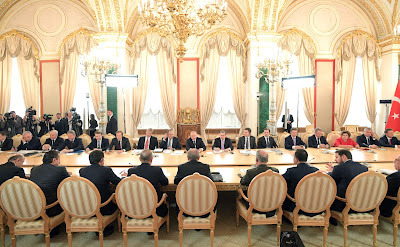 0 Comment to "High-Level Russian-Turkish Cooperation Council meeting."